Share The E.Normus Trio's EPK! Published: Friday, October 14, 2011 at 4:30 a.m.
To bassist Jay Sanders, part of the charm of the E.Normus Trio is the novelty of the lineup. "We're doing something that no one else is doing," he says. "As far as I know, there are no other eight-string guitar, bass-amplified clarinet trios." Sanders is familiar to local music fans through work with roots groups such as Snake Oil Medicine Show, Donna the Buffalo and Acoustic Syndicate. The E.Normus Trio offers the bassist a chance to stretch into the modern jazz world, along with clarinetist Steve Alford and drummer Michael Davis. The trio opens for saxman Jeff Coffin's band at Pisgah Brewing Co. on Thursday. Sanders was surrounded by music while growing up in Nashville, Tenn. "I spent a great deal of time listening to the Aquarium Rescue Unit and The Flecktones in the late '80s and early '90s," he says. Sanders attended Belmont University and the University of Tennessee, and he studied "musical philosophy" with Reggie Wooten, brother of Flecktones Victor and Roy Wooten, before moving to Asheville in 1996. "Versatility was my objective," he says. "I studied jazz because of the technical and harmonic understanding it requires. I figured if I could play jazz, I'd be a step ahead toward playing anything. I've played bluegrass and country, been to Jamaica to study reggae, played in rock and blues bands, and participated in jazz orchestras. "The key to flexibility is listening, a lost art in this very loud world that we live in. When you listen, you can feel the nuance and rhythmic variation that differentiates the undercurrent of style." The E.Normus Trio was first heard at jam sessions at the Jolie Rouge and The Rocket Club in Asheville, with original drummer Billy Seawell. The group just completed a Sunday night residency at MoDaddy's with its new stickman, recent Asheville transplant Davis (The Broadcast). "The music we are after is much more aggressive than typical jazz, and Michael's time in New York has given him a solid background in avant garde," Sanders says. Alford, who cut his teeth in the Chicago jazz scene in the 1990s, plays bass clarinet and alto clarinet. Alford, a graduate of the University of Miami, teaches woodwinds and directs the jazz ensembles at Mars Hill College. "Steve is one of the most unique and versatile players I've had the honor of playing with," Sanders says. "He brings an assertiveness to music that is both brilliant and insane. "We're working on a very avant garde sound with Steve amplifying his clarinets through a distortion pedal. Our current compositions are through-composed improvisations that we try to keep pretty short. In order to present this type of music, you have to be very deliberate about your intention." 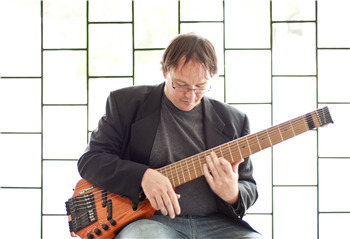 Sanders plays an eight-string N/S Stick, which is essentially a six-string bass and a six-string guitar in one. "The instrument is very complex and versatile, designed for any number of techniques, including two-hand tapping, split lines and long sweeping arpeggios," he explains. "My approach varies between ‘If Charlie Hunter played indie rock,' and pretending that the eight-string is a tenor saxophone." E.Normus is inspired by fierce improvisers such as Ornette Coleman and Chicago's Vandermark 5. "Improvisation has been at the core of what we do since the beginning," Sanders says. "We practice our improvisation through execution. By just doing it, you get a sense of the other players' styles and musical sense. Over time, you develop an understanding of where someone is likely to go." Improvisation requires a level of fearlessness, according to Sanders. "If you're comfortable with being uncomfortable, you'll be able to cross musical boundaries that you didn't even know were there." Born of a weekly Sunday jam session at the now-closed Joli Rouge in Asheville, North Carolina, the E. Normus Trio has been a project of Jay Sanders and Steve Alford since they met playing “Rhapsody in Blue” in 2007. Contrary to speculation, the group is not named for its exotic instrumentation and the ranges they provide, but is instead the pedigreed namesake of Alford’s sizeable leonberger, Norman E. Normus. As a puppy, Norman was a regular listener at those Sunday sessions. 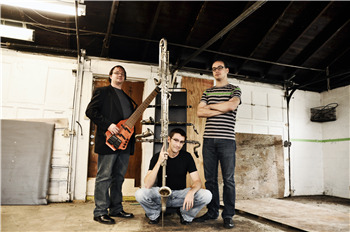 Originally taking an almost whimsical approach to the bare bones horn/bass/drums jazz trio concept, the sound of the group began a major transformation with Sanders’ switch from acoustic bass to the N/S Stick, an 8-string multi-mode instrument that covers the ranges of both a bass and a guitar. 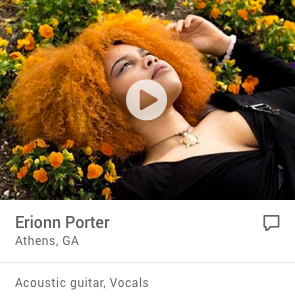 At the heart of the huge sound generated by the group is Sanders’ ability to take on two roles at once, covering what would normally be played separately by both a bassist and guitar player. This “one brain controlling two voices,” as Alford calls it, creates an eerie effect in the sound, and results in a symbiosis that is simply unachievable with bass and guitar played individually. This nucleus paired with Alford’s vocalized and primal lead voice, six octaves of sweeping clarinet range, creates a sonic palette unlike any other trio out there. To this mix, add Michael W. Davis, who brings incredible jazz sensitivity coupled with huge power generated not by volume, but with an utterly superhuman control of the time. Compared to many studio projects these days, Love and Barbiturates was recorded with very little overdubbing. The contra-bass clarinet and alto clarinet on “The Long Boots of Age” are an obvious example of studio magic, but amazingly enough the album is recreated live by the group with very little variance in texture and layering. The debate is still ongoing as to whether this is a jazz, rock, or soul record, or something new altogether. As music genre labels are generally the product of hindsight, that debate will be discussed and determined by others.